Post by : Lee-Ann McKenzie (Follow on Spotted Places @BeFreeWithLee) The top of the South is one of the many magical places in New Zealand. There are endless opportunities to explore in nature’s creativity. 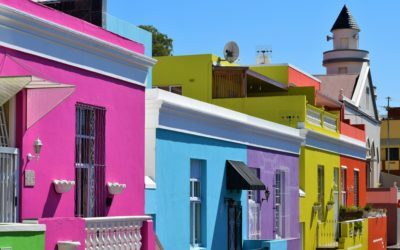 Luckily, I am fortunate enough to be living in this wonderful part of the world and have compiled a few must do’s for those who are thinking of traveling to the area! These suggestions are based in and around the beautiful city of Nelson. Kayaking is the best way to travel in the Abel Tasman National Park. This beauty is definitely first on my list! It features one of the great walks of NZ and comes highly recommended. This national park is situated about an 1-hour drive north of Nelson at the base of a gorgeous little settlement called Marahau (you can grab really good burgers from a place called The Fat Tui in the summer). There are many different ways to see the park including kayaking, walking, water taxing and driving (to certain parts). The best way to see the park is to do a mixture of hiking, water taxiing and kayaking. When kayaking or water taxiing you get to see some of the amazing wildlife around the area including the evergrowing seal population. There are also numerous king shags (a bird endemic to New Zeland) that people often confuse as penguins! But are still gorgeous. The other day a boat of travelers even caught a glimpse of humpback whales! A rare occurrence but it does happen. Many people water taxi into the park and adventure around one of the bays of their choosing for the day. Some even camp for a night which is great if you are not into hiking or are traveling with family and just want to get away for a night. There are also huts located in the main beaches if you don’t fancy tenting. 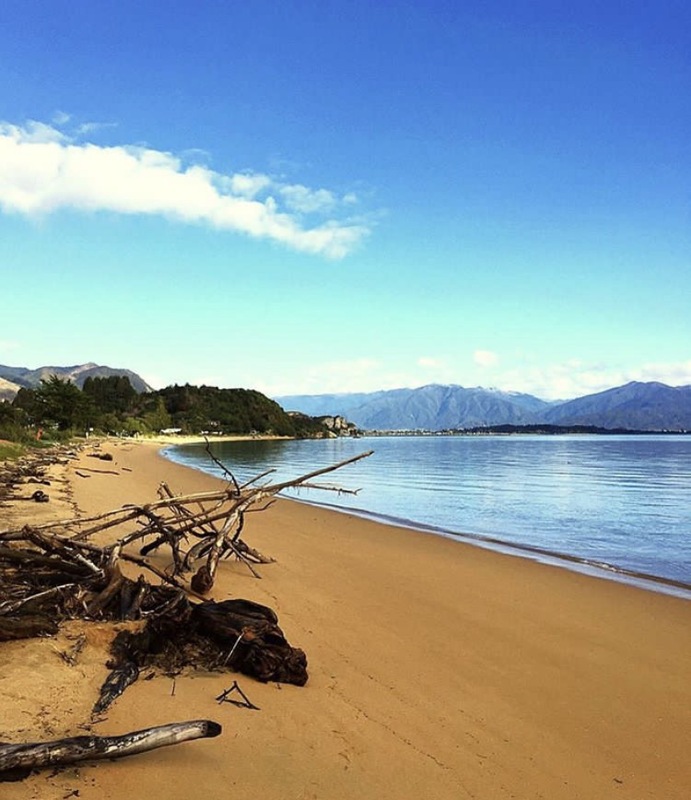 The only place you can drive to is the beginning of the track at Marahau and the middle of the park at Totaranui, which has a massive camping ground not far from the deepest golden sand beach in the park. You will be able to spend hours and hours in this park, taking in the pristine golden beaches, gorgeous views and fantastic wildlife. Just take a look at this photo. If that doesn’t make you want to jump on a plane and get here I don’t know what does! This place is an absolute dream. I can’t even contain my excitement as I write this! It really is a paradise. The beach is located about a 30-minute drive from Collingwood, not too far from Farewell Spit. The road is nice and scenic and narrows down to a gravel road with a few pot-holes but is well worth the drive. The short walk into the beach is almost as exciting as the beach itself. The walk is filled with green rolling hills and amazing views. The track takes about 10 minutes and is a single, well-marked path. As you continue on, you will be greeted by a widening track leading onto the sand dunes, which are super fun to run down! The build-up to the beach is incredible. 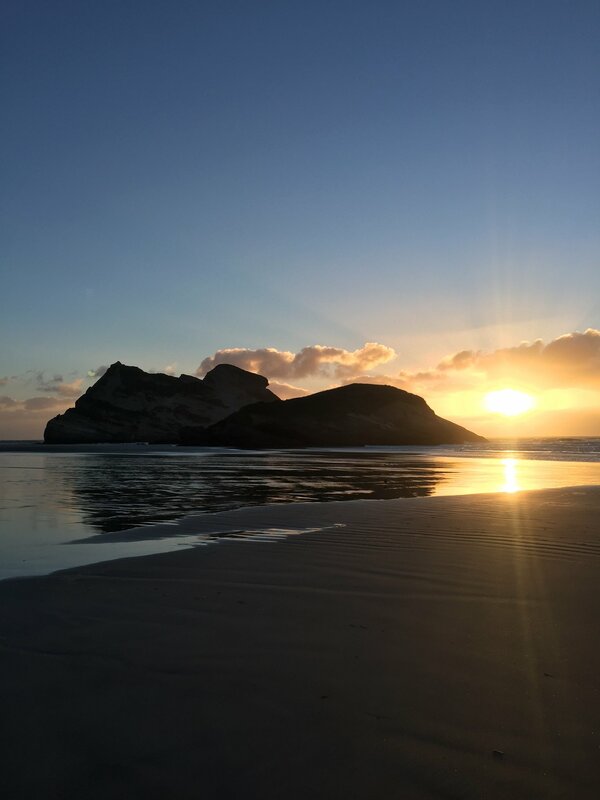 Just as you realize walking on sand is hard work, you will be welcomed by an indescribable view of a vast beach, rock pools and rugged mountains. Take your time and enjoy! Definitely head down to the rock pools to see baby seals frolicking around. If you remember, take a tennis ball as the seal pups like to play fetch. P.S. it is rather windy, so come prepared. A must-do walk situated about 30 minutes out of Richmond in a place called Hacket Valley. The walk here is superb, filled with luscious green forest, a beautiful flowing river, trickling waterfalls and beautiful limestone. You will get to experience a swing bridge, river crossing and never-ending falls. The whole hike takes about 2 hours return and is well worth it! Be sure to take some good hiking boots as the track is a little rough in parts and there are a few landslides. 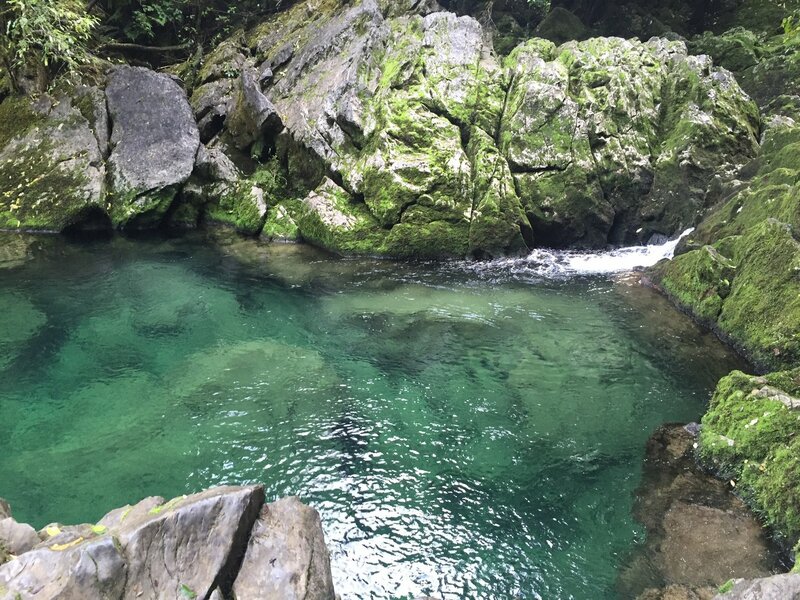 If you make it there in summer there are some gorgeous pools to take a dip! Just magical. The Resurgence is an incredible place situated at the bottom of the Takaka Hill. This spot is remarkable because the water looks as though it has no starting point. It literally comes to light as it escapes the limestone caves in the Takaka Hill. It is amazing how water can flow so heavily through a mountain and make its way out to the open. The Resurgence is located about 15 minutes north of Motueka just below the Takaka Hill, down the beautiful Riwaka River Road. It’s only a 10-minute drive in and definitely worth it. Local Iwi have used this spot for cleansings and other traditional practices so it is a very sacred spot and is to be respected. Such an awesome place where you get to experience nature’s creativity at it’s fullest. The caves are situated up a secluded mountain just out of Takaka down Packard Road. The hike takes about 45 minutes and is a steep climb but 100% worth the effort. You will be in awe at the dense stalactite and depth of the cave. There is a neat viewing platform that makes you feel as though you are really in the cave. It is extra special when you make some noise to hear your voice echo. 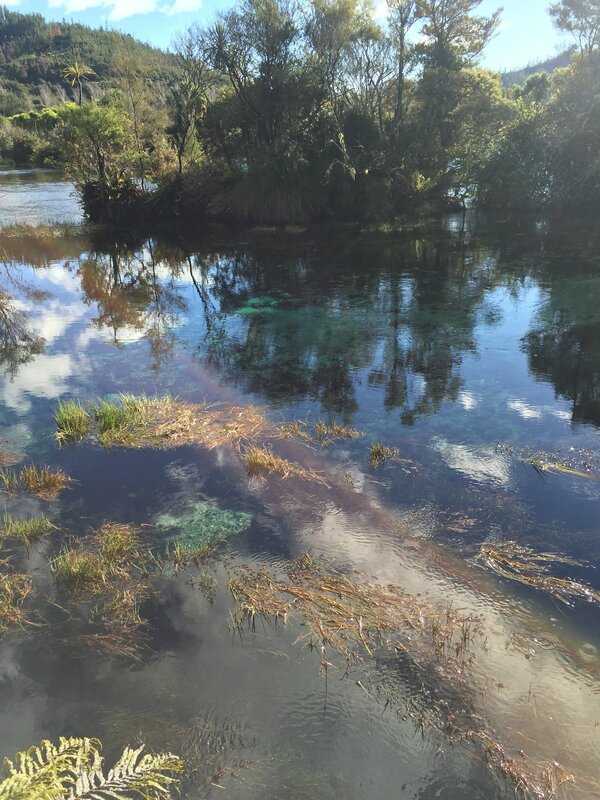 Pupu Springs a is a must-see tourist attraction. The water is amazingly clear and has such a strong current. Apparently, the amount of water that comes out per second is enough to full 40 bathtubs! 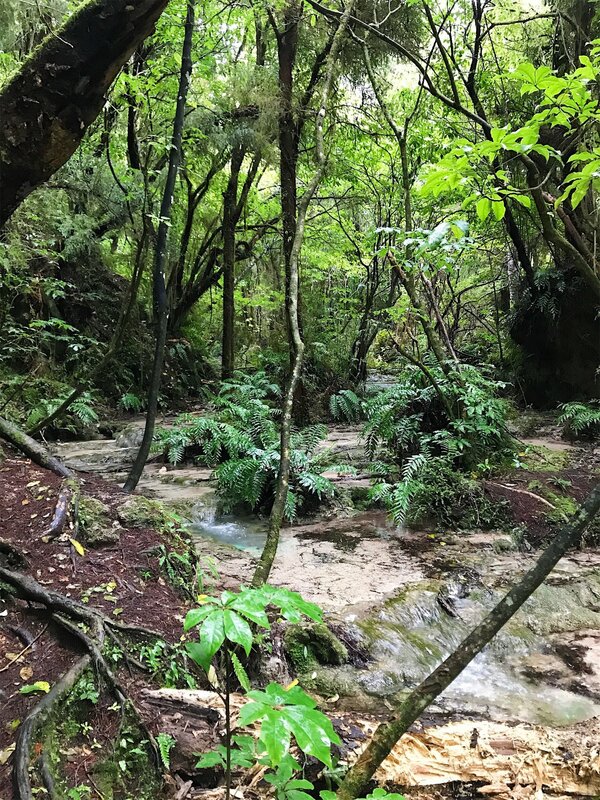 The springs are located about 5 minutes north of Takaka down Pupu Valley Road that ends in a car park. Upon entering the walk, there are wonderful signs giving you great information about Maori history and the significance of the springs. After you’re done taking in all the information head down either path, left or right (they both take you to the springs). The beautiful river that flows down the path next to you is very clear and even has a few deep blue pools to admire. Keep walking up until you get to either the viewing platform (if coming from the left track) or the first spring (if coming from the right). First or last you will come across a smaller spring which is right next to Pupu Springs. Head on up to the viewing platform if you haven’t already made your way there. Here you will experience the springs in their entirety getting to admire how fast the water flows out of the springs and how clear and clean the water is. Enjoy and hopefully it is a nice day so you can get a good photo! This beach is absolutely gorgeous and booming in summer. The golden sand definitely gives Golden Bay its name. The attractions around the area are great (including the Abel Tasman National Park). 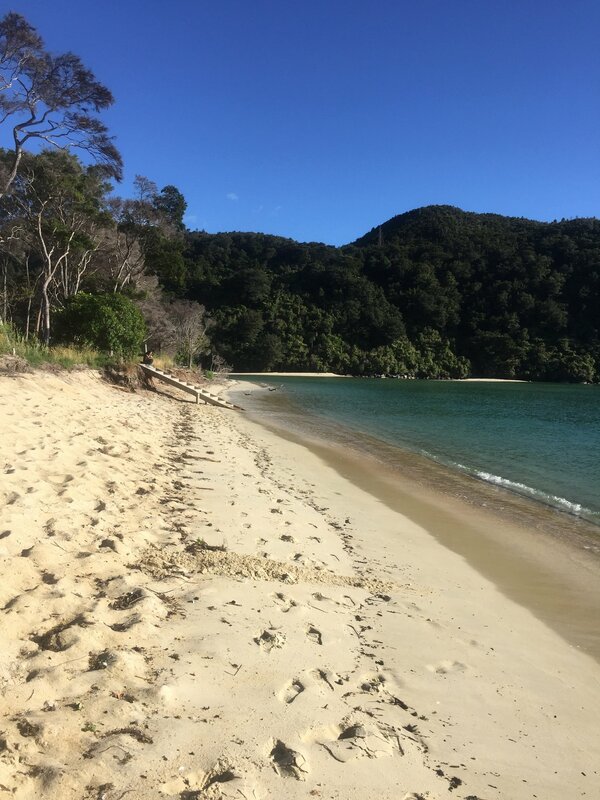 The beach is located about 15-20 minutes east of Takaka, down Abel Tasman Drive. Grab a kayak and go out to Ngawhiti and Motu Islands and even go for a fish. There is a kayak stand towards the far right side of the beach (heading away from the way you came). The water is usually very still and dream-like which makes for an easy ride. If you don’t feel like getting in the water then no worries; the sand is soft and a great place to take an afternoon nap in the sun. Also, there is a walk up to a wee lookout on the hill to the right of the beach. Just follow your nose to the bottom of the hill that connects to the beach and you will find it. It’s located just up a path heading off the car park with the kayak stand. The walk gives you great views over the bay and the surrounding mountains. 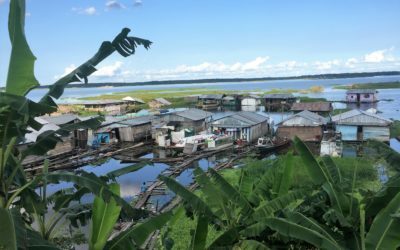 The attractions mentioned in this post are just a few of the endless number located in the top of the south. I didn’t even begin to mention the gorgeous Marlborough sounds or Nelson Lakes! Truly the whole of New Zealand is worth exploring but if you had to choose, I would 100% recommend this gorgeous and sunny area! You won’t regret it! 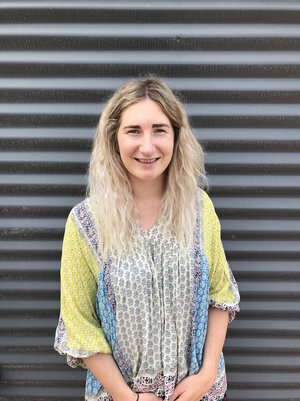 Lee-Ann is a positive well-being and adventure blogger from New Zealand. She shares tips and tricks on how to cultivate a positive mindset as well as her travel, hiking and adventure experiences. She hopes to inspire others to get out there and explore this beautiful world. Her hobbies are running, hiking, mindfulness activities, playing with her dog and spending time with family and friends. Catch her around New Zealand in her van this summer! 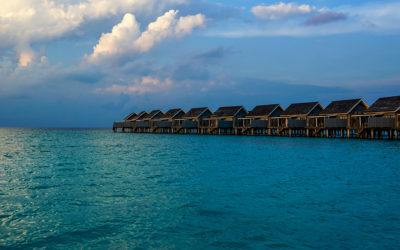 For more of Lee-Ann’s travel articles, check out her blog Be Free With Lee.